Today's oil and gas companies must contend with many issues related to the safety, reliability, and environmental performance in running a successful plant. Incidents, near-misses, plant upsets, and production mishaps pose a constant threat to safe and efficient operations. There's no question that workforce knowledge is critical to smooth running plants. It is estimated that more than 40% of all plant incidents are initially caused by some form of human error. Plants lose billions of dollars every year from operator and maintenance worker errors due to insufficient employee knowledge. 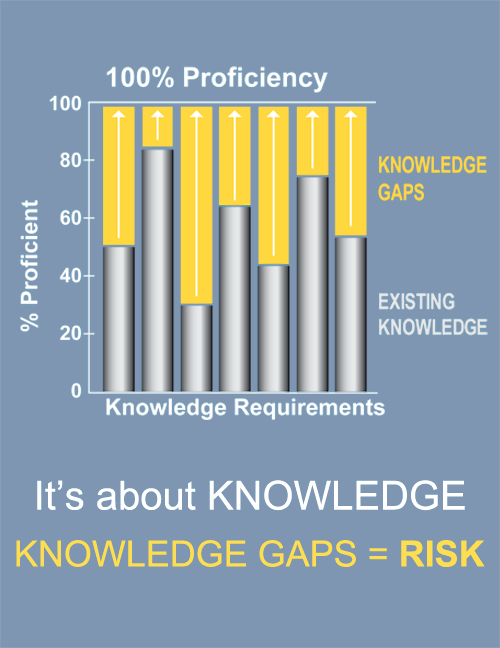 Gaps in knowledge among workers are major risks and potential downfalls. As in many plants, removing water or moisture from a liquid stream can be critical to processes. In one plant, propane LPG was treated with a caustic wash and amine treatment, and then went through a dryer before refrigeration. But when the plant increased LPG production, the sudden change in feed rate caused the caustic to be carried overhead and upset the amine unit. Both caustic and amine were carried into the dryer. Unknowingly, operators carried on normal operations for the next few days, and when they began the next dryer regeneration, they discovered that the molecular sieve had become clogged with cement hard masses due to the caustic and amine contamination. The dryer had to be removed from service for repair. The operators didn't foresee the upsets caused by the sudden feed increase. The knowledge gap produced an inadequate response causing equipment damage and lost production. Content must be developed that will effectively transfer the required knowledge. Well-designed learning content incorporates proven Instructional Design Methodology (ISD) with relevant content to produce effective, engaging programs geared for adult learners in technical industries. Individualized curriculum paths organize these programs to address the knowledge gaps of each learner. The appropriate learning modules must be delivered consistently to each individual based on their current abilities. Differential learning allows redundant training to be filtered from delivery, and only those programs that align with the knowledge gaps are delivered. This means learners reach proficiency more quickly without unnecessary training. 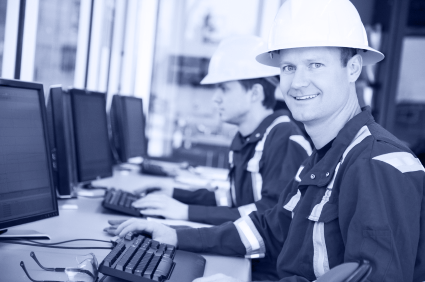 PetroSkills RDC Solutions is in a unique position to close the knowledge gaps. With over 50 years of knowledge transfer experience in the process industries, we've worked with leading companies, licensors, and manufacturers gleaning industry experience and technical know-how. By optimizing learning with proven instructional design methodologies and technology, we enable our clients to improve performance while reducing risk. Based on this experience, we can deliver a job-specific, adaptive learning and knowledge transfer environment focused on developing and maintaining 100% knowledge proficiency. Visit our website www.petroskills.com/rdc or contact us via email at solutions@petroskills.com. Knowledge and skills gaps are particularly critical for workers in the oil and gas sector. Organizations with a more knowledgeable workforce reduce the risks of injury, illness, and costs due to mishaps. It’s a simple and easily understood fact. Additionally they can enjoy improved productivity and profitability leading to a strong competitive edge. Proper training is a necessary investment. But what may not be so clear is that preparing workers to be ready and able to perform their jobs requires more than just training programs. Performance needs to be supported through a keen management of knowledge, curriculum and job roles. The solution must build core skills and knowledge to match specific on-the-job needs. And the critical nature and fast pace of operations in the oil and gas workplace requires stepping beyond traditional methods of content delivery and providing immediate access to knowledge and information through an advanced organization system. Companies in the oil and gas sector must meet stringent regulatory compliance requirements for safety and technical training such as PSM and SEMS requirements. 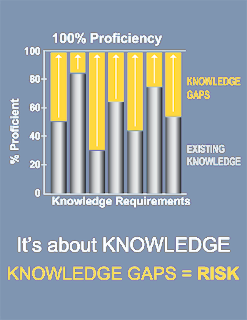 Any gaps in required knowledge mean risk. Additionally, many organizations will create their own standards for technical knowledge, skills, safety, and performance goals. The critical and complex nature of many processes and tasks requires anytime access to information to guide workers. 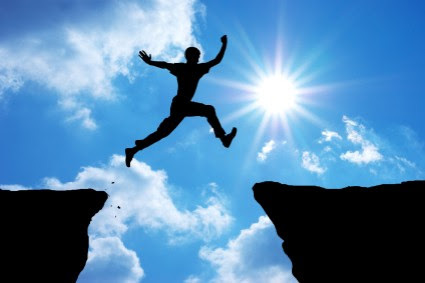 Workforce attrition, when older more experienced workers leave the workforce and take years of know-how with them, leaves an organization with a collective hole/gap in knowledge. These long term employees have mastered specific job roles over the years through direct observation, working with mentors, and years of experience on various jobs. Without capturing this knowledge and transferring it on to new employees, this tacit knowledge will be lost to the organization. New workers hired to fill the positions of the vacancies due to retirement or due to expansion need to reach competency in their job requirements quickly. A wide variety of experiences and backgrounds may be brought together to fill these vacancies, often with gaps in existing knowledge. When new workers must begin to perform immediately and training time is limited, workers need support that adjusts to deliver only the training they need so that they can quickly achieve competency. Curriculums are developed to job role-specific requirements, not simply by title. HR may use the title “Operator 1” for many employees, but the actual job roles of each individual could be very different depending on location, process, and status as first responders, etc. Active Learner develops curriculums by job roles rather than titles, so specific requirements for each individual learner can be clearly identified and addressed. Pre-requisites, re-training, and alternate courses are specified in the curriculum. Compliance requirements and plant-specific mandates can be automated. Comprehensive reporting clearly shows progress toward compliance goals. Active Learner provides methods for identifying training gaps and assigning remedial training. Rather than simply recording the training has been delivered, knowledge transfer is confirmed and documented. Active Learner’s integrated environment improves worker productivity by providing on-the-job access to integrated information, tools, and training. Online, on-demand availability and accessibility facilitates self-directed learning and empowers workers to enroll and track their own progress. Your LMS or ERP can interface with Active Learner to supply the knowledge base and training content. A multilingual learner interface is available to support usage for several languages including: French, German, Spanish, Arabic, Russian and Chinese. It pays for itself in performance and productivity gains, in reduction of risk, and in the benefits of compliance. Making such meaningful impact requires an advanced performance support system fueled by the right technology developed specifically for the process industry’s needs. Contact RDC to discuss putting Active Learner to work for your company. Competence is often characterized as a combination of the knowledge, skills, and behavior a person uses to perform a job function to the best of their ability. With the ever-increasing regulatory burden facing the industry, the skills component of competency is fast becoming a defined and measured requirement. RDC Solutions' learning environment, Active Learner, offers the ability to directly integrate client-specific operating procedures into an employee's required learning curriculum, tailored for each job-role that individual may hold. In addition to procedure requirements, Active Learner offers functionality for managing complete competency by also managing instructor-led learning events and field-skills verification. This includes the ability to link learning materials such as classroom guides and field assessment forms and make them accessible to the employee. Following the classroom learning or field-skills verification event, documentation such as attendance sheets and field verification approvals can be scanned and then linked to an employee's individual training history. This would include copies of trade and/or training certifications that may have been acquired off-site through a third-party provider. These Active Learner features make it easy to deliver, maintain, and validate the complete competency and job-qualification status of any employee at any time. Please contact us if you would like more information about Active Learner's capabilities or to schedule training to achieve better compliance with less administrative effort.